Yes, it is true. FabulousFables.com is now a nonprofit literary organization. Read “The Horse”, our latest story we’ve placed online. More information about our website and its nonprofit status coming soon. That’s right my faithful readers, FabulousFables.com has begun the process to become a literary nonprofit 501(c)(3) organization. It is our hope that this will help us to survive and to continue to offer you new and exciting fables, stories, poems and art. We would like to add audio to the literature so that it can be used to help learn reading. Yes reading. We believe — some say incorrectly — that people still want to read. We offer original stories, and we also offer poetry, some original, some not. In addition to audio, we would like to get schools and children’s organizations involved in drawing and writing for the website. This is all a long-held vision of David Madrid, creator of FabulousFables.com. We will keep you informed. 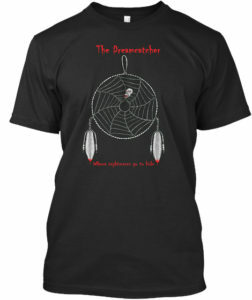 The Dreamcatcher is a short horror story about a Native American artifact with supernatural attributes. FabulousFables.com has taken art of the dreamcatcher from that story and has created a T-shirt and sweatshirt to sell in an effort to keep the website alive and free. Please consider buying a shirt and helping us out. In addition, 25 percent of profit from each shirt goes to our favorite charity: Doctors Without Borders. When FabulousFables.com was created, the vision was having a website that not only promoted literacy, but a website that helped make the world a better place in other ways. Please enjoy the stories on this website, and help us continue offering you these stories. Go to Teespring and purchase a shirt please. To prove that warm affection I’ve always felt for you? 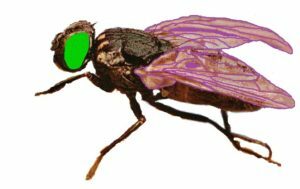 And set his table ready to dine upon the Fly. Mary Howitt, (1799–1888) published The Spider and the Fly in 1829. It is a cautionary tale about the use of flattery and charm to mask evil and unsavory intentions. Although written so long ago, the poem is as relevant today as the day it was written. That is why I have included the poem here in FabulousFables.com. The poem’s lesson is timeless. Thunder though, it wasn’t at all, it was a green, red and white UFO come to call. Up we went into the sky, Jacque and nobody else but I. And wished you a Merry Christmas, you probably thought we were a drone. It was then that we saw Santa Claus fly by, with four polar bears and a reindeer at his side. Ho! Ho! Ho! St. Nick laughed as he shot through the sky. He looked to be a right jolly guy. 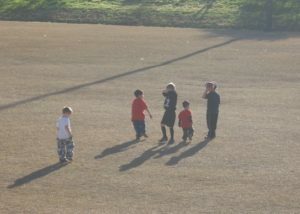 On Hector, Go Ralph, Run Mookie, Fly Sam, he prodded the polar bears and they ran and they ran. Then our UFO took us up by the moon, whose face was all funny as if he had eaten a prune. Finally, our craft flew under a star, the biggest, the brightest, ever seen from near or afar. A monitor lit up and we saw such a scene, a baby in a manger, oh what a dream! Angels sang Peace on Earth, and Goodwill to all women and men, wishes we extend to you all our very dear friends. That’s what Jesus taught us; it is true. 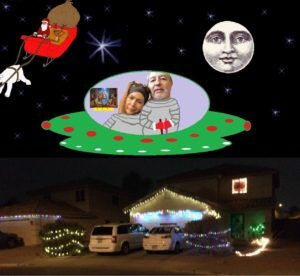 When dreams of UFOs are a delight, when cities are lit up with Christmas lights. We wish you a Merry Christmas and Happy Holidays too. Whatever you celebrate, it’s OK with us two. Lots of love from David and Jacque Madrid; You may think this dream merely a fib. But Christmas season is a magical time, and I’ve got a picture to go with my rhymes. So much fun from a sphere-shaped ball. Was it really called a pigskin? That history called a football. Beats all the games kids play. I’m the quarterback. No it’s me. What fun it is to argue with thee. He tackles you. You fall on your bum. There is no clock to kill the time. Just get the ball across the line. We play unhampered by an officiating crew. To play the game with a friend such as you. That’s when football is at its best. When play is so fun we forget to rest. By making hippo porridge with some wormy fries. Therefore I cooked some pigeon toes. So I cooked them aardvark pasta mixed with sand. They turned their noses at the thought of that. So I offered some amoeba cheesecake soaked in fat. 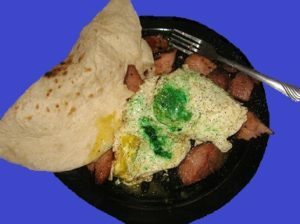 I added a burnt tortilla and held the spam. “How about this?” I asked, my spirits high. I got a look that would chill Capt. Bligh. “You’re going to eat that?” asked the oldest one. “Yuck!” said the boys, finally impressed at the things I can do. Is joined by Spider Man and triceratops. 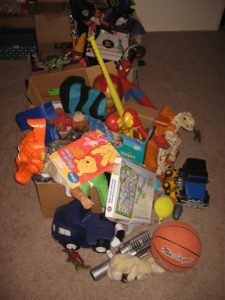 Growing as the peninsula of toys. Made of the things of little boys. It depends which story you believe, but one version is that he was a deformed, stuttering Greek slave in the 6th century B.C. who was granted the gift of crafting fables by the goddess Isis. The magic of Isis transformed Aesop into the legendary fabulist whose stories live on because of their timeless lessons. Aesop’s fables have been told and retold throughout history. You can find different versions of the same story among different cultures. In the end, according to one version, Aesop was thrown off a cliff by the people of Delphi, who then suffered pestilence and famine. Whether true or not, I like to imagine that Isis used her powers to curse those who dared kill the legendary storyteller. David Madrid, president of FabulousFables.com, is a storyteller who also writes fables. 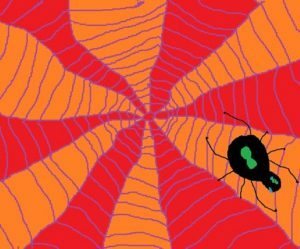 While impossible to compete with Aesop, the greatest fabulist of all time, this website offers fables that we hope teach lessons that both children and adults will recognize and consider. FabulousFables.com will occasionally offer you its version of Aesop’s fables. We love the fable, and we thank Aesop for showing us the way. 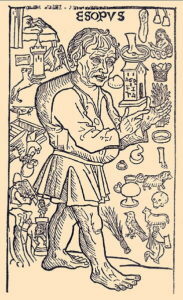 A woodcut from La vida del Ysopet con sus fabulas historiadas (Spain, 1489) depicting a hunchbacked Aesop surrounded by events from the stories in Planudes’ version of his life. 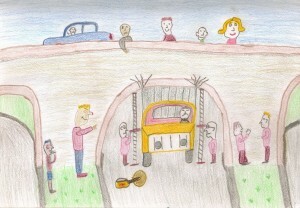 As he drove beneath the overpass. And jammed the truck in tight. A solution they would surely find. The arch that held the bridge cracked. Was another idea with a serious flaw. Two geniuses discussed breaking apart the road above. People gathered on the bridge and looked down. “Oh my, what will they do?” they fretted and frowned. Said: “I know how to help the troubled trucker. “Why don’t you deflate the tires on the truck? None saw the problem through the eyes of a child. When you are walking down the street. Even if the person is old or a youth.